Gocycle's latest model will fold and unfold in ten seconds and can be wheeled instead of carried. A high-tech magnesium frame. Lightweight battery assist. Technology inspired by Formula 1. These sound like the makings of an exclusive high-performance sports car or sportbike. This is no motorcycle, however (at least by most legal standards). It's a bicycle, specifically the Gocycle GX. In the past, electric bicycles were best known for discreetly helping Tour de France competitors gain an illegal edge on their fellow racers. Tiny batteries and motors built into the frame would give riders a bit of a boost that could help them conserve energy up hills, or make that final mad sprint to the finish line faster than the other guy. That technology is now being put to use openly in bicycle applications that are legal—at least, most of the time. Even openly electric bicycles have not escaped controversy, however. In October 2017, New York City banned them, citing safety concerns for pedestrians and other traffic. The ban did virtually nothing to actually reduce e-bike use, despite the risk of fines up to $500 for riders. Last April, New York City rolled back the ban, instead setting a 20 mph speed limit for e-bikes. This is no hardship considering the 25 mph speed limit city-wide for all vehicles. Even the government couldn't stop the widespread adoption of electric bicycles throughout the city. 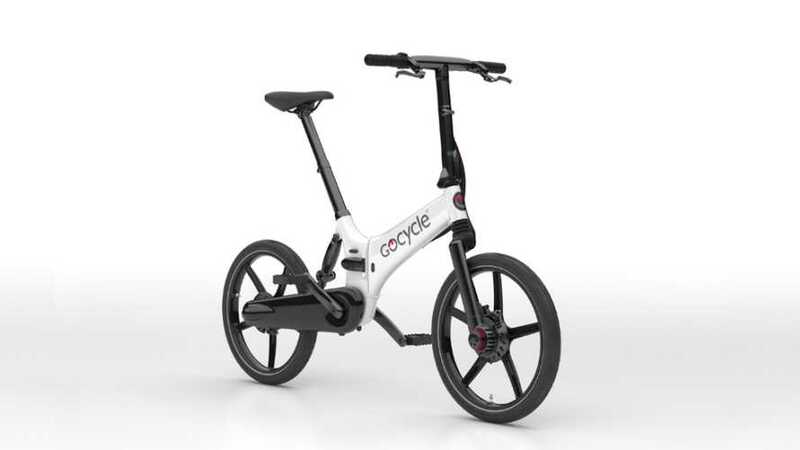 The Gocycle GX is the latest model to come out of the British company founded by Richard Thorpe, a 25-year veteran of McLaren. Thorpe was inspired by Formula 1 design and electric vehicle technology and decided to bring both to electric bicycles. The Gocycle GX is particularly well suited to big cities like New York. It claims to be the lightest e-bike available. An exact weight figure isn't available, but the company's G3 model weighs in at a featherweight 36 pounds. The GX folds up into a compact package for the bus or for storage in a closet-sized apartment. It can also be rolled while folded rather than carried. All of the GX's components are inside the high-tech frame, with no greasy chain or gear changing mechanisms to mess up your pants. The bike is still primarily pedal-powered, but a boost button on the handlebars provides assistance from the electric motor when needed, rather like the KERS system on a Formula 1 car. As e-bike technology keeps getting lighter and more affordable, we can only expect to see more of them popping up in cities everywhere, with more and more manufacturers getting in on the e-bike game.